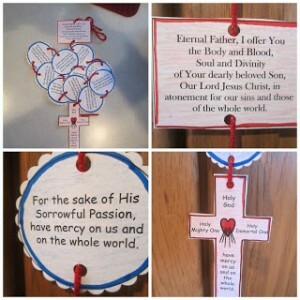 With Divine Mercy Sunday approaching – I found two great Divine Mercy Resources for children that I just had to share. The second is this great Divine Mercy Chaplet craft from Rosary Mom that you can use to help teach your children the Chaplet. 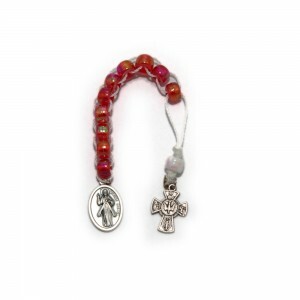 She adapted the Chaplet Craft from Making Music Praying Twice – Chaplet Lacing Craft so that it included the Eternal Father Prayer. But the Template at Making Music Praying Twice is lovely, you can just print the Simple Pattern and write the Eternal Father Prayer onto it and then print out the Pattern with Written Words and you have a complete chaplet.